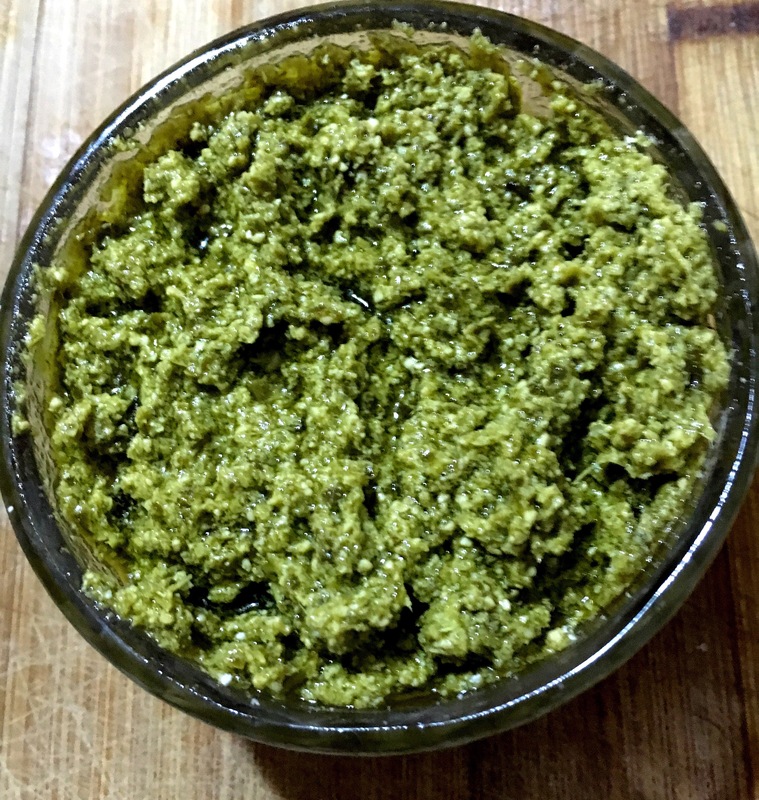 Today, I’ll share my favorite basil pesto recipe. It’s healthy and flavorful, goes well with whole grain pastas, salads or even used as a spread with some cherry tomatoes (the last one being a personal favorite)! It takes less than 5 minutes to prepare, so I don’t want any excuses!!! Blend all the greens, nuts and minced garlic cloves on medium, switching to high for 30 seconds to a minute (depending on your blender). Switch back to medium, adding the Parmesan. Finally, on low, slowly add the virgin oil. Don’t cut any of the leaves, if you absolutely have to, just rip them up with your hands. If your goal is to lose weight, skip the nuts and add only 1-2 tea spoons of virgin oil, just enough to blend the rest of the ingridients. Have a healthy Spring, everyone!